The Magic 8-Ball was inspired by fake seances. Mary Carter, a phony fortune teller, created a spirit writing device. 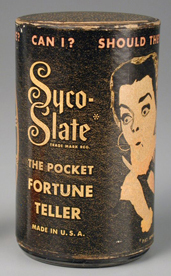 Using a slate enclosed in a box, Carter could secretly write and pretend the spirits were communicating with the device. Her son, Alfred Carter, was amazed by the invention but wanted to make a device that required no skill to use. Alfred Carter created a device he called the Syco-Seer in 1944. The device was a tube divided in half. Each half was filled with a dark liquid and had a die with answers printed on each side. Each end of the tube would reveal different answers when asked a question. 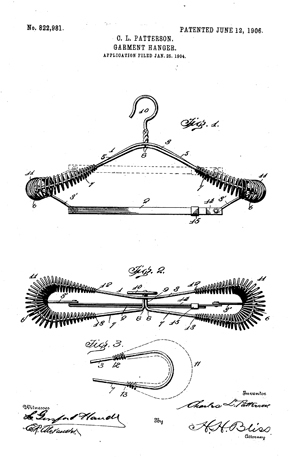 The coat hanger was invented in response to a lack of coat hooks in an office building in Jackson, Michigan in 1903. Albert J. Parkhouse worked for Timberlake Wire and Novelty Company which made lampshade frames and other wire items. One day, he arrived at work to discover that all the coat hooks were occupied. Parkhouse did not like having his winter coat getting wrinkled on the back of a chair all day. He decided to find a solution. 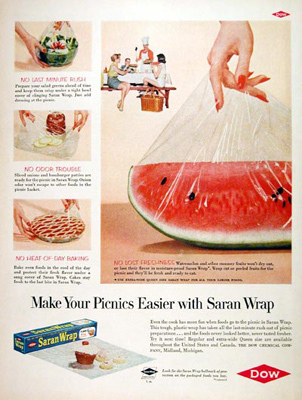 The company produced wire products so there was always wire laying around. Parkhouse grabbed a piece of this wire and twisted it into in two ovals with the end twisted together to form a hook. Another piece was twisted to fit inside the shoulder of his coat. The last piece curled in the center. His new wire creation allowed him to hang his jacket anywhere. The Cotton Gin Was Worthless? An invention can be so valuable as to be worthless to the inventor. Eli Whitney came to this conclusion because of the financial failure that was the cotton gin. Whitney gained fame and notoriety from his invention but did not gain the wealth he had anticipated. The cotton gin is a mechanical device that removes seeds from cotton. Before the invention of the gin, seeds had to be removed by hand. The cotton gin was a wooden cylinder with wire teeth. The teeth grabbed the cotton fibers and pushed them through a grate. The seeds were too large to fit through the grate so they were pulled away from the fibers. Whitney’s cotton gin could clean about 55 pounds of cotton a day. The invention of the cotton gin changed the cotton industry in the United States. Whitney gave a one-hour demonstration of his new invention and farmers were ecstatic. They could now plant green seed cotton and remove the seeds much quicker and effectively. 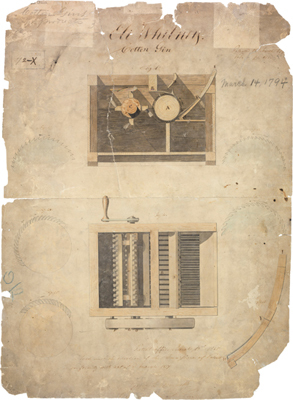 Whitney did receive a patent for his cotton gin on March 14, 1794. This patent would later be numbered as X72. 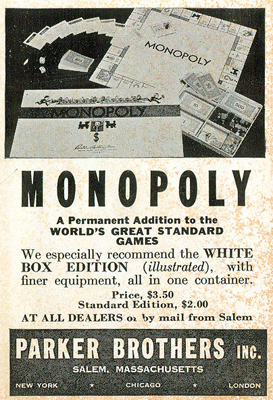 Whitney and his partner, Phineas Miller, did not actually intend to sell their product. They were planning to charge farmers for the service of cleaning the cotton. Their large price, two-fifths of a farmers profit, paid in cotton was the beginning of their financial problems.